DWC Limited are delighted to announce that we have signed a three year travel agreement with Moliné Travel, as the “official and recommended travel agency” for Dance World Cup. Moliné Travel is based in Barcelona, Spain. Moliné Travel will have access to the hotels where the finals and some qualifiers will be held in advance and can assist you with flights, hotel bookings and if you wish to stay in the destination longer, extended stays. All the people that make up the main structure of Moliné Travel accumulated extensive experience in their long years of work in the tourism sector, especially with Spain’s dance qualifiers each year. 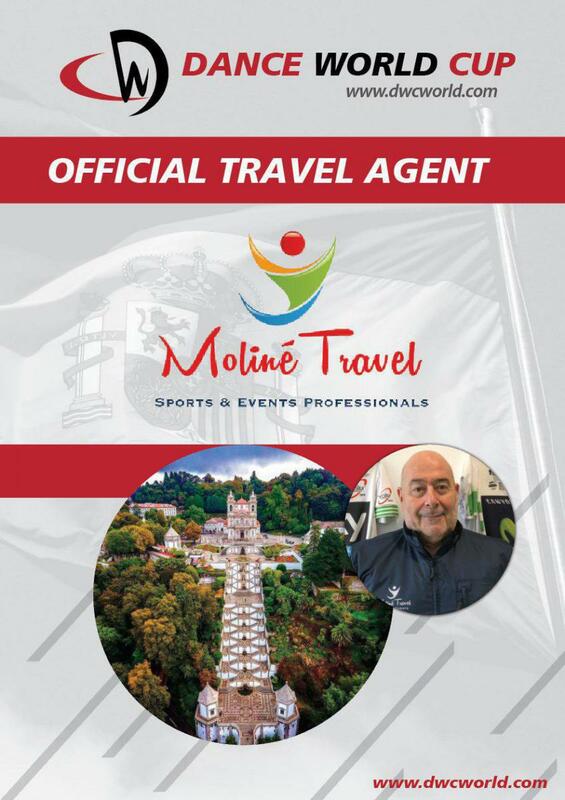 The staff of Moliné Travel have many years of experience in organizing travel arrangements for groups or individuals, from football Final’s Champions League with more than 10,000 people, to the accommodation of 900 people each day throughout the UCI world tour of Volta Ciclista a Catalunya (the third oldest race in the World). Note that DWC Limited are not connected with Moliné Travel and all queries or disputes must be sent to Moliné Travel directly for processing. Moliné Travel are fully insured and DWC Limited take no responsibility for any bookings made with Moliné Travel. Antoni Moliné and his team from Moliné Travel look forward to speaking with you and assisting you in your Dance World Cup accommodation and travel requirements.